Thanks to Andy for pointing out the story on AICN (via G4). Those closing credits that many people are trying to figure out the meaning of … have no meaning. They were added by ABC execs. Read about it on EW.com. Thanks to Hunter P, who also pointed this out. That’s it. No more. 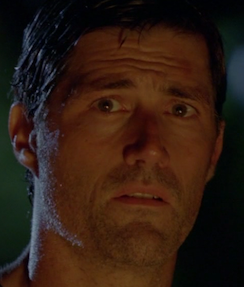 “The End” of LOST. Let me start with this: I liked the finale. Jack was never meant to hold the position of The New Jacob long term. He was the only one that had what it took to destroy The Man in Black, save Desmond and get that stone put back into place. 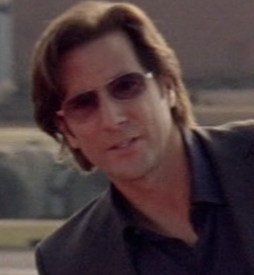 I don’t think Kate, Sawyer, or Hurley could have done any of that, for various reasons. It was good to see Bernard and Rose for one last time, and that they were the people that saved Desmond from the well. I’m not really sure how I feel about Hurley taking over as The Island protector. My immediate reaction was, “But he didn’t want it!” In thinking about it more, I suppose that all the dead people talking to him all the time was a hint about how things were going to turn out. Ben. Ben, Ben, Ben. I’m pretty surprised that Ben survived all that, and I probably shouldn’t be, because that’s what Ben does. Switches sides and goes with who he thinks will let him survive the longest. It does seem that Ben needed to become Hurley’s right hand man on The Island, because he had some to make up for some serious issues he had. One surprise was that The Man in Black became vulnerable when the stone was removed from the Light Well. I didn’t really expect to see that. Why The Man in Black didn’t kill Jack right then and there, I have no idea. After the big fight scene at the cliff, I thought for sure Smokey would come back one last time after the rock was put back into place, but “dead is dead”, I suppose. 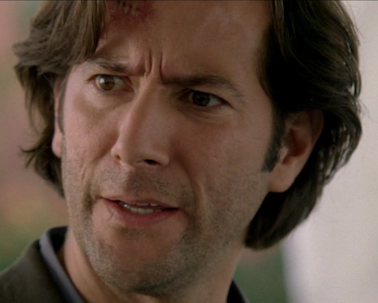 So in the end, it appears that the survivors of the “real world” ended up being: Desmond, Kate, Sawyer, Miles, Frank, Claire, Ben, Hurley, Bernard, Rose, Richard and of course Vincent. I can’t imagine what life on The Island was like with Hurley and Ben in charge. Seems like it would make a wacky sitcom. I think many people will have problems with this whole thing. The way I look at it was this: It was a weigh station. A place where people worked out the “issues” they had, and once they were able to do that, they moved on. Whatever those issues were, was up to the individual person. Some people were ready, like most of the 815ers, and some were not, like Ben and Ana Lucia. All this was very ambiguous, but then again, it’s LOST, so what do you expect. Everyone there was dead, not because they were dead all along. They lived out whatever life they had, and were back in the “sideways” world to reconnect with each other for what was the most important part of their lives. And having found each other again, they move on. Move on to what? Again, ambiguous, but it was probably heaven. Did you notice the things inside of the room Jack walked into? There were items from every religion. 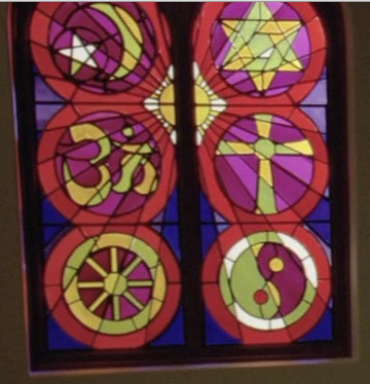 Even the stained glass was multi-denominational. I was really disappointed that Walt and Michael were left completely out of it all. Things I wish were resolved: Why were Aaron and Walt important? Why they wanted to have babies on The Island? When was Christian Shepard really appearing to Jack – only in the real world? Was Widmore lying about a visit from Jacob? 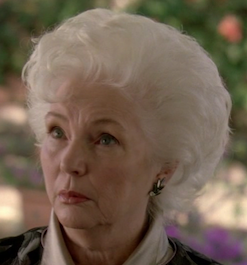 What did Widmore really plan on doing with Desmond? Was it the perfect ending? No, and it’s one that will be debated for quite some time, I’m sure. I might post some more about this later, but for now that’s it. 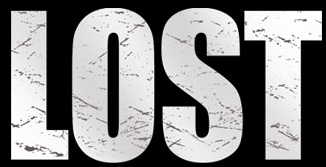 I’ll be waiting for Lost: The Complete Sixth And Final Season . It goes on sale August 24th. I will really miss this show. Here are a bunch of theories I have about what might happen in the series finale of LOST, “The End”. Apart from all the questions we’d all like to have answered, I think I’m going to go a bit against the flow here in what I’ve been saying and what a lot of other people have been saying. 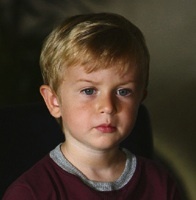 There have been arguments back and forth about whether Jack will truly be the next Jacob, or whether someone else will end up taking over for Jack in the end. Any of them could, including Ben. But that’s not what I think will happen. A commenter in a another thread, John, pointed out that the cut on Jack’s neck that keeps bleeding in the “sideways” timeline could be a cut that Jack sustains on his neck in the “real” timeline. And I think that’s quite likely. How could this be? Well, now we know that Jack is the “new” Jacob, having whatever powers Jacob has. 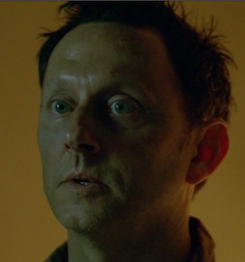 Given what we’ve seen on the island, I think it’s quite possible that Jack is now unique in the sense that what he does and what happens to him could change the way things happen in other timelines. In fact, I wouldn’t be surprised if the Man in Black and Jacob both had this power all along. His bleeding must be significant, since they keep bringing it up throughout this season. Does he just get nicked? Probably not. As that commenter, John, pointed out, Jacob told Jack that he has to do his new job “for as long as he can”. That may very well be just long enough to allow Desmond to do whatever he needs to do. As for Kate taking over for Jack…? Well, I don’t think that will happen. I think it’s probable that The Island will be destroyed. You might be thinking “What? The Island destroyed?” Yep. I think that’s where this is going. We’ve known since the beginning of the season that The Island in the sideways timeline is destroyed. It could very well be that The Island is in the process of being destroyed in the “real” time line and the whole catastrophic event that takes place causes it to be blown back in time where it ends up, destroyed, at the bottom of the ocean. But that won’t be the end. Desmond is intent on making sure all the 815ers known about this alternate timeline, and is just one of the reasons that he’s working to get them all together, probably at the concert. It’s probable we’ll see Charlie recognize Claire from the stage where he’s playing. It’s also probable that Sayid will see Shannon and become “island aware” too. Considering they have to have a very traumatic experience (Ben’s beating), or a real connection with their own “constants” in the “sideways” timeline (Hurley and Libby) to realize they know about the alternate timeline, I would think that something, possibly even a bomb will go off during the concert to make some of this happen. Desmond isn’t snapping them all into this realization just for the fun of it. He’s not thinking “Hey guys, we’re getting the band together again!” He wants these people to do something. Possibly even help the people in the “real” timeline… more on this in a bit. I think some of the solution to this will hinge on Eloise Hawking herself. Ever since we’ve seen her, she seems to be acutely aware of the way things are supposed to play out. She’ll be instrumental in this finale episode. I think that it’s entirely possible Desmond has been trying to get the 815ers back together again, to realize what has been happening because he intends to help the “real” timeline change things so that The Island ends up NOT being destroyed. In other words, I think we’ll see the events that cause The Island to be destroyed in the “real” timeline, but it will be “fixed” by the 815ers in the “sideways” timeline so that they interfere and end up saving it. Ben’s famous words, “I always have a plan”, and I think he does. Ben doesn’t like getting played for a fool by anyone, and considering what The Man in Black has put Ben through, I’m certain Ben wants to exact revenge. He’ll wait for the right time, and he’ll probably end up dying for it, but he’ll do something to really screw up the Man in Black’s plans. I think we’ll look back at Ben being the hero for what he did to save everything. A question I’ve had since the beginning of the season…. If the island is at the bottom of the ocean in the sideways timeline, where the heck did Jacob and The Man in Black go? No idea. Could The Man in Black be masquerading as Widmore in the sideways timeline? Could be. I’ve alway thought that Widmore, for all the time they put into that character and the mystery surrounding him, deserved a little more on screen time to find out what he was really up to, and what his motivations really were. Well, that’s enough rambling. Any theories out there you’d like to share? 1) What the heck is up with Eloise Hawking? She seems to be completely aware of what’s happening in any of the timelines she’s shown up in. What does she know, how does she know it, and why does she consider what Desmond is doing “a violation”? 2) What happened to Rose and Bernhard on The Island? I said in a previous post my guess it that they did the time travel jump along with everyone else, and are the most likely candidates (if you excuse that pun) for who helped Desmond out of the well. 3) What’s that cut on Jack’s neck? I think it’s a “no brainer” that this will be explained in the finale. If I were to guess, whatever happened in the “real” timeline is bleeding (again with the puns?) through to the “sideways” timeline. 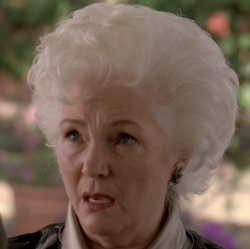 4) What about Walt? It’s an old theory of mine, but I believe the reason the birds smashed into that window was because they navigate using the natural magnetic poles of the earth. When Walt got upset, the magnetic fields around him fluctuated and threw the birds off. Now that we know Desmond’s relationship with magnetic fields, I think The Others might have been interested in Walt for the same reason. Bet we see him at that concert though. 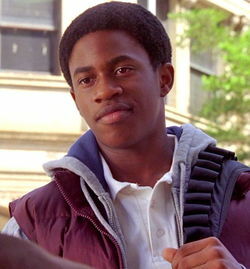 5) What about Aaron? For something they made such a HUGE deal about for such a long time, I want to know why it was important to keep Aaron safe. Is it because Jacob will come back in the sideways timeline manifested as Aaron? Who knows, but I want some answers about this! 6) Why were The Others trying so desperately to have successful pregnancies on The Island? My guess has always Ben wanted The Island to be self sufficient, so they didn’t have to bring in any outsiders, but that’s a little crazy since they’d need a LOT of people in their population for this to be successful. Was it really because the next successful birth was going to be Aaron, the next “Jacob”? Who knows? …I’ll tell you: The Writers! And I want to know too! I might add more as I think of them, but for now, those are my top questions! LOST – What Happened To Rose and Bernard? Two of my favorite characters on LOST are Rose and Bernhard. Last time we saw them on the island, I believe they were in the 1970s, just living on their own. What the heck ever happened to them? My guess (a couple of days before the finale) is that they’re in the current timeline on the island. In fact, I’d bet they were the ones that helped Desmond out of that well. 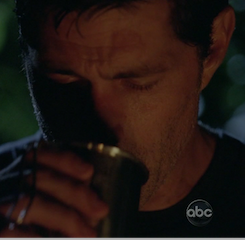 LOST Theories – What Is Desmond Up To? Well, now nearly all the theories I wrote about in my last posting went completely out the window, and last night’s episode, “What They Died For” gave us a new clean slate to work from. It appears that in the sideways world, Hurley knows all about the “real” world now. He recognized Ana Lucia immediately upon seeing her, and is now teamed up with Desmond. Hurley and Sayid are headed off to …well, who knows where. The airport and then to the Island? But that’s underwater, or at least most of it is in the sideways world. Desmond and Kate are headed off to a concert, likely the same concert as Jack and his son (and probably Claire) are going to be at. Desmond’s been on a campaign to get all the island folks (even Ana Lucia, he told Hurley “She’s not ready yet) together to realize there’s something going on with the parallel life they had before. Could that only be to make sure they knew the lives they had now were different than what they had before? Could be, but it seems like a lot of work just to make a bunch of people realize they had “other” (no pun intended) lives before. I mean, what’s he going to do, get everyone together and say “Tada! Look at each other! You know everyone here! You had some really crazy experiences together!”. That seems pretty odd. He’s up to something else – Could it be that he’s figured out a way to help Jack, Kate, Sawyer, Hurley and the rest of the people on the island? Does this tie into Mrs. Hawking’s warning to him? Of what he’s doing being a “violation”? Any thoughts about what Desmond is doing in the sideways world? Author srpPosted on May 19, 2010 Categories LOST, TelevisionTags desmond, LOST, Lost Theories9 Comments on LOST Theories – What Is Desmond Up To? Ha! I loved this episode. It took all my predictions in my previous post, and threw every single one of them was thrown out the window. Well, except for one. Jack took over for Jacob (so much for the theory of Ben taking over), at least for now. Widmore died (so much for the theory that Widmore takes over for the Man in Black). It appears that Richard did die. Pretty anticlimactic way to go. I think Richard deserved a better end. Kate and Sawyer are still alive. I did like the fact that we found out why Kate’s name was crossed off. (Because Kate became a mother). That settled two questions in one: The other “Kwon” was most like Jin, not Sun. That exchange with Kate also revealed that just because her name was crossed off, it didn’t really matter. She could still have the job if she wanted. Crazy, crazy episode. It pretty much leaves everything up in the air. Anyway, that’s my initial reaction to this episode. What did you think of it? 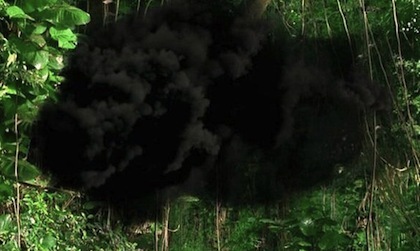 LOST Theories – Smoke Monster or Not? Spoilers ahead – Don’t read if you haven’t seen Across The Sea! The episode “What They Died For” airs in a couple of hours. There’s a theory going around that Mother, the woman that raised Jacob and The Man in Black, was actually a smoke monster herself. The main reason given is the destruction at the base camp where The Man in Black lived with the people he considered “corrupt”. We haven’t seen any outward signs from Jacob that he’s got some awesome power – except for bringing that storm up to bring The Black Rock onto shore. We haven’t actually seen him “turn on that power”. That doesn’t mean he doesn’t have destructive power like that. If he did, Mother could have manifested it herself that way. In other words, not “Smoke Monster Evil”, but deadly none the less. The only way she could have taken out that many people was if she was a smoke monster herself. Also, her warning to Jacob may have been first hand knowledge of what happens to someone if they go down the Light Well. The body she inhabited may well have just been a physical representation (just like UnLock is), and therefore she really did have a body and a skeleton (which was found during the first season). There really isn’t much to go on with these arguments other than that. The implications of it are interesting though.